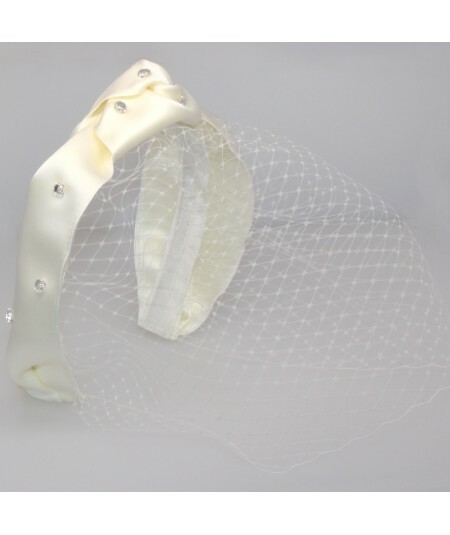 If you've always wanted to wear a birdcage veil or face veil for your wedding day or special occasion you have found the right shop. Our face veils are uniquely constructed to delicately surround the face comfortably. 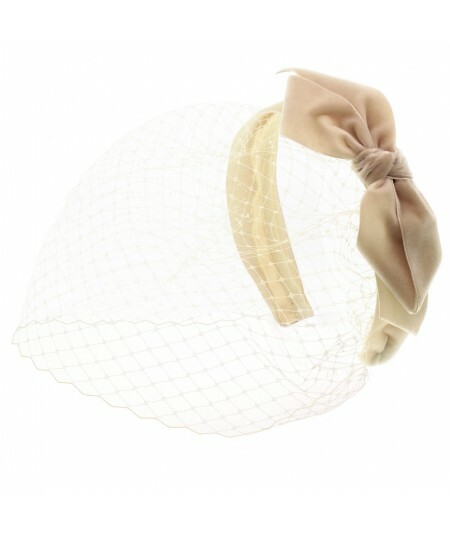 Our veils are easy to put on and wear throughout your occasion. When you want to remove it you can fold it on top of the decorate band and enjoy two looks from one style. Highlight your eyes and shine like a star while wearing one of our hand made pieces. Each piece is created by hand sewing ribbons and millinery veiling. After your occasion you can wear the veil backwards as a headscarf. Our birdcage veils have been featured in every fashion magazine. The couture quality and construction is the best in the bridal market. No other face veil fits and photographs as beautifully. We have every color a bride would need for our veils. Every color of off white, ivory, beige, etc. We are able to send you swatches by mail if you email us. Add fashion mystique to your look and get noticed. Your face veil will create conversations of beauty and intrigue. 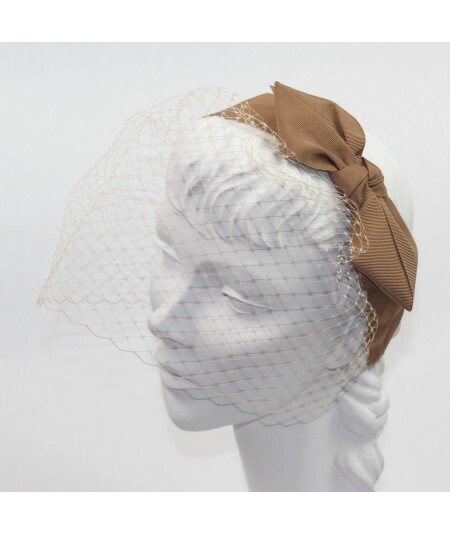 Shop for face veils of any color online, white, ivory, red, pink, grey, black and stunning burgundy. We are standing by to help you find the right veil to wear. You can always wear your favorite hat on top of your face veil and Voila! Insta-fashion-superstar! Veils are not just for evening wear, they are also great when you need more courage! Wear your face veil when you need to be brave and put it on as your fashion coat of armor! Not just wedding white, our face veil come in a variety of colors We've got red, navy, neon pink and burgundy to name a few. Burgundy veiling happens to be the most flattering color for the face. All face veil styles are created by hand in Jennifer Ouellette's fair trade studio in New York City. Our Newest Veil Style! Grosgrain Center Bow with Face Veiling. Veiling Rolls up at Edges to Create a Simple yet Chic Elegance. 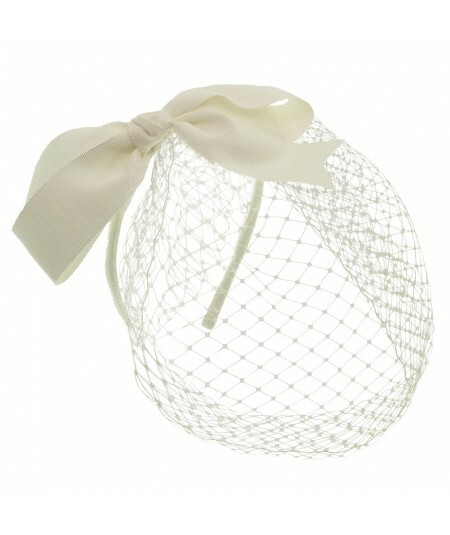 Our Most Basic Face Veil - flattering and delicate. 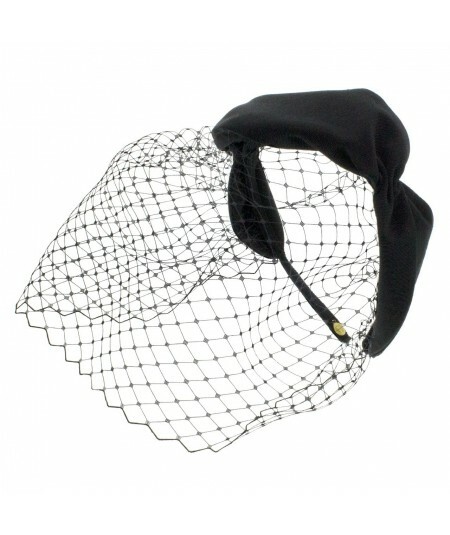 Bengaline Twist Headband with Face Veil Headpiece. 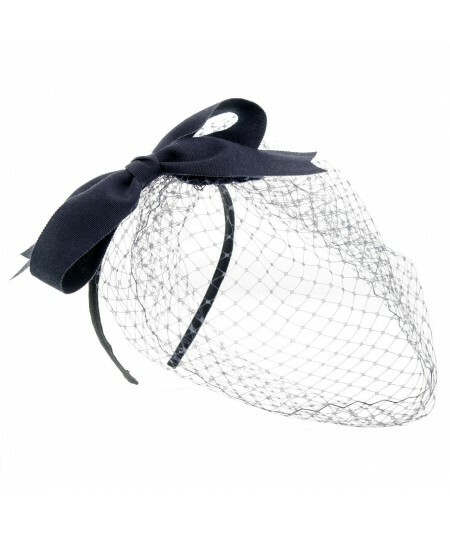 Classic Center Grosgrain Bow Trimmed Feminine Birdcage Veil. Great for Bridal Headwear! 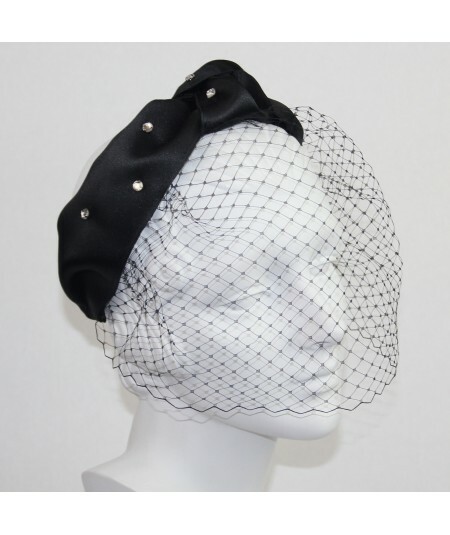 Birdcage Face Veil With Assorted Buttons On Grosgrain Headband. Perfect for Any Bride! All of Jennifer’s designs are hand crafted by her staff in New York City and Santiago, Dominican Republic.